Piwik is an open-source alternative to Google Analytics which provides useful stats about who visits your website. It’s biggest selling point, funny since its free!, is that your stats & data are kept private and isn’t accessible by the corporate behemoth known as Google. If you don’t really care about keeping that info private, then Google Analytics will probably save you some time and effort. For those of you like me who are a tiny bit paranoid and love learning and using free software, keep reading. There’s a Demo site available if you’d like to try it out first. *TIP: If you perform a fresh install of Ubuntu Server 15.04, you can choose LAMP as one of the services to be installed. If you already have an Ubuntu machine up and running, you can always install the packages individually after the fact. Liberian Geek & Unixmen have nice guides on LAMP installs if you need help. *NOTE: You have the option to install Piwik in a subdirectory of the site you want to monitor, but it’s best practice to create a new site and database separate from all other sites. This prevents potential exploits from affecting Piwik and vice-versa. I’ll be doing the latter in this guide. *NOTE: Make sure to replace the yourdomain.com portion of the ServerName setting with your actual Domain Name. Also, while the config in its current state leaves the site wide open, don’t fret, we’ll be restricting access later in this guide. *TIP: Some versions of MySQL log all the commands entered in the MySQL Shell including that password you just added in plain text. While there are ways to enter hash passwords instead of plain text, the easiest thing to do is delete ~/.mysql_history in your Home directory after creating new users. MySQL in Ubuntu 15.04 doesn’t seem to log Create User commands by default which is great. *UPDATE: There are major issues with the last 2 Piwik versions, 2.14.0 & 2.14.1. I would stick with 2.13.1 until all issues have been sorted out. Download version 2.13.1 here. *UPDATE-7/22/15: Piwik just released an upgrade of their WordPress Plugin (WP-Piwik) which is compatible with their latest release, 2.14.1. It’s now safe to install or upgrade to 2.14.1 if you’re on an older version of Piwik. If you’re a WordPress user, just make sure WP-Piwik is upgraded to at least version 1.0.3 before upgrading Piwik. *NOTE: This change is only needed with PHP 5.6 which ships with Ubuntu 15.04. This change is unnecessary in older versions of Ubuntu which use PHP 5.5. *NOTE: Even though I’m accessing my site via VPN, my credentials are still sniffable if someone has access to my local network. Bottomline is it’s always safer to implement SSL when you host a site that has sensitive data. *NOTE: This .htaccess config restricts site access to only the local server and the 192.168.1.0/24 subnet, but allows anyone to access piwik.js and piwik.php. These 2 files must be accessible from the internet for Piwik to successfully track visitors to your sites. You can modify the config to reflect your local subnet or individual IP’s if so desired. *TIP: If you are tracking multiple sites and want to give people access to only view their site statistics, you can create multiple users with different AuthTokens and restrict what they see on the Piwik Admin site. *NOTE: My Piwik site is hosted on the same server as my WordPress site. 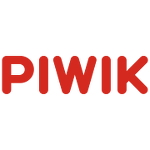 If your Piwik site is hosted on a completely separate server, select Self-hosted (HTTP API, default) and enter the URL of your Piwik site instead. One of the coolest things about Piwik is being able to see where people are viewing your site from. Don’t you want to know where in the world is Carmen Sandiego…viewing your site from? It takes a tiny bit of effort to get this working, but to me its well worth it. You should now see GeoIP (Php) as Installed. Just Select it and you’re all set. Well, now you should have a working Piwik site that allows you to track the who, when & where of those that visit your site. For businesses, this can provide valuable info on the demographic of your customer base and for casual bloggers, maybe you’ll find out your site is huge in some faraway land like Antarctica. Penguins have a surprising amount of free time when they egg sit. Anyway, I hope this guide was useful to you and feel free to comment. Catch you laters!